Son of the legendary Nona Beamer, descended from an illustrious line of Hawaiian musicians and dancers, Keolamaikalani Breckenridge Desha Beamer was born February 18, 1951 on the island of O'ahu. He spent his childhood alternating between the urban energy of Honolulu, Hawai'i's largest, most dynamic city, and the slower, more culturally rooted serenity of the Beamer family's ancestral home at Waimea on the Big Island of Hawai'i. 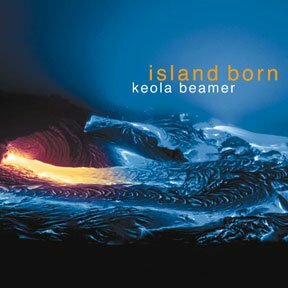 Similarly, Keola's beautiful music has always expressed an inspired blending of the urban and the rural, the modern and the ancient. He crafts his art from equal parts tradition and innovation: "In our family we're taught to respect our kūpuna (elders and ancestors) and their legacy, but that it's also important to look to the future," says Keola. "I never look at this as burdensome. It's a natural state of affairs. Having these two perspectives increases my appreciation of life. They're constant sources of inspiration." 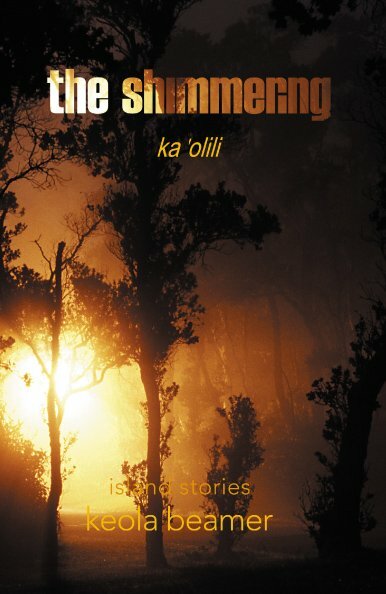 Keola's appreciation for Hawai'i's beauty inspired this recording. "There's a radiant feeling," he says, "at least once a day when the curtain of every day activity lifts, when you stop whatever you're doing, and see this place for its amazing beauty. The sun coming up, a gentle breeze, the mountains at sunset; it really can't be expressed in words, but in one's heart there's a feeling of thankfulness and pride. There's a haunting sense of gratitude that you feel to be a part of this. It seems to me that this is what Hawaiian music is all about. It is what I would like this album to express." Keola's last several albums have been largely solo projects. For Island Born, he invited a number of friends to join him. "They feel that same special connection to Hawai'i" he says. 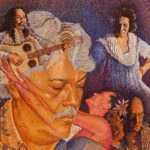 A leading composer and performer since the 1970s, Jerry Santos has enjoyed a long, productive career based on traditional Hawaiian ideals, often sensitively blended with subtle pop music influences. His heartfelt music, which has proved widely influential on the local scene, reflects a firm dedication to environmental, political and social causes. Classmates at The Kamehameha Schools, Jerry and Keola met in the seventh grade and continue their friendship. 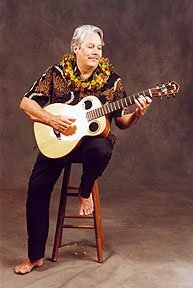 Born into a diverse musical family, John Kolivas was raised in Honolulu listening to Hawaiian, jazz, and classical music. In the 1970s, while still a teenager, he served as Musical Director for Keola and Kapono Beamer's popular Waikiki show. Relocating to New York City at the age of 21, John performed widely on Broadway and at leading jazz venues. 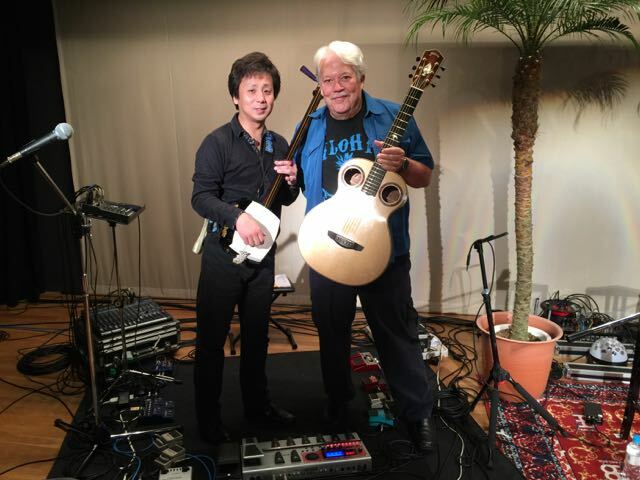 Recently returned to the islands, John currently performs with the Honolulu Symphony Orchestra as well as with jazz great George Benson. He says he counts it a privilege to be reunited with Keola after nearly 18 years. Eighteen year-old daughter of the late Hawai'i Island singer G. Girl Keli'iho'omalu, Princess Pahepuaokalani Keli'iho'omalu grew up at Kaimū, in the culturally rich district of Puna, surrounded by the music of her 'ohana (family). This is her debut recording, the first, we hope, of many. Kam Lan Kapukalaniokala Kapua'ala has performed in Japan and the U.S and has been featured as a dancer in concerts with Keola. She has had a successful modeling career and won the title of Mrs. Hawai'i in 1985. 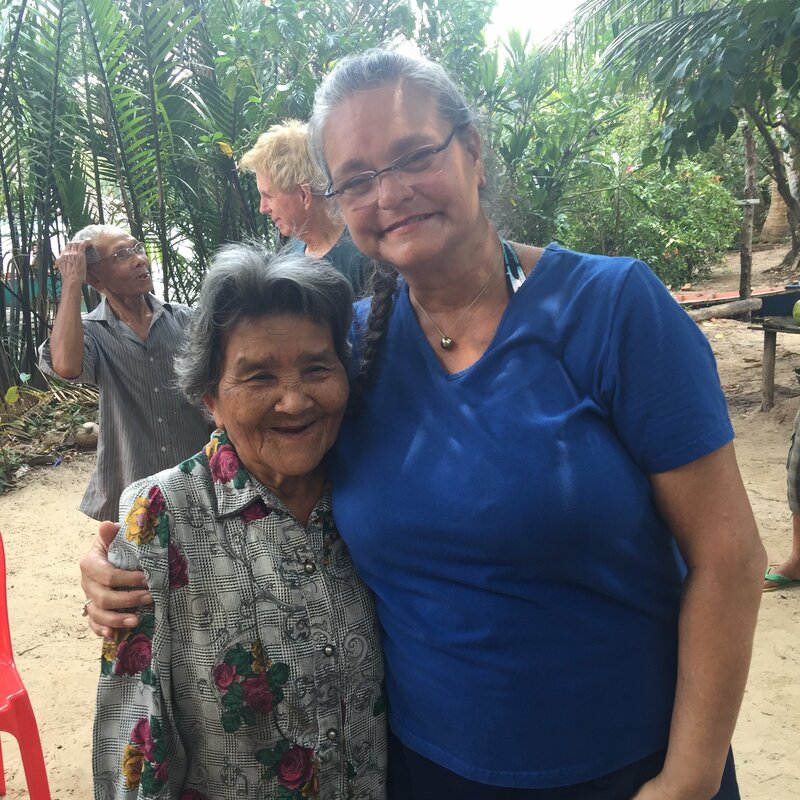 Since that time she has been involved in the study of lomilomi and is the happy mother of three children in Wailuku, Maui. Moanalani Beamer began her training at the age of four. Her primary source of inspiration was the famed Kumu Hula, Robert Kalani. Moana has performed in many venues at home in Hawai'i and abroad. Currently Moana continues hula studies with Nona Beamer and tours with husband Keola in the U.S.A., Canada, Europe and Japan. Guests can download or purchase this CD from our friends at CD Baby. Jon Woodhouse / The Maui News: "Keola Beamer's first release on his own record label is such an exquisitely crafted work of of contemporary Hawaiian music, it would be no surprise if this magnificent album sweeps the Na Hoku Awards next year." Brickwood Galuteria / Honolulu Magazine - April 2001 and Hawaiian 105 KINE Radio: "With the skilled back up of John Kolivas on acoustic bass and harmony vocal from the likes of Jerry Santos and George Kahumoku Jr., Beamer has produced a masterpiece from the heart." John Burnett / Hawaii Tribune-Herald: "Clearly an artist at the Zenith of his creative powers." 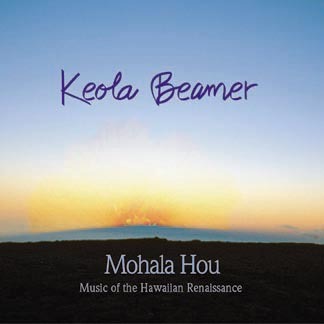 Aloha Joe: "Each time I see Keola Beamer perform, I'm overwhelmed by his prowess with the guitar. I recall thinking; 'he can't get any better.' That wasn't true! His musicianship on 'Island Born' proves me wrong." 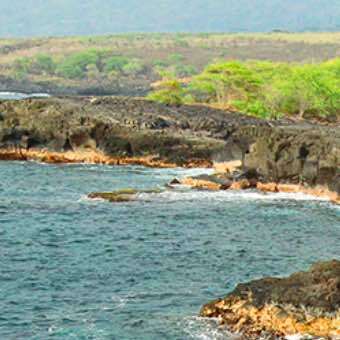 Manu Boyd / Ka Wai Ola OHA (Office of Hawaiian Affairs newspaper): "Like the pahoehoe lava flow depicted on the cover, 'Island Born' represents a smooth, timeless foundation and a benchmark in Hawaiian music for generations hence to strive for." Aloha Plenty: "The tone and spirit of this CD combines Keola's fingerstyle guitar of recent years with the vocal harmony style of his earliest releases such as In The Real Old Style (one of our favorites). And a little of the pop sound of Wooden Boat (his first Dancing Cat release). 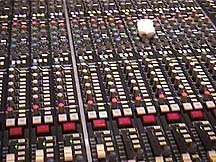 All the tracks include vocals. The sophistication of this CD surpasses all his previous work." Keola Beamer’s native instruments are custom made for him by Calvin Hoe and Family, 48-140 Kamehameha Hwy, Kāneʻohe. HI 96744. These instruments include 'ohe hanu ihu, kāʻekeʻeke, oeoe, kālāʻau, and ʻūkēkē. The beautiful and authentic nature sounds of this CD were recorded by Kit Ebersbach, Pacific Music Productions, 928 Nuʻuanu, Suite 111, Nuʻuanu, HI 96717. Moanalani Beamer, Nona Beamer, Mark Nelson, Annie Dempsey, Kaliko Beamer-Trapp, Marty Kirkman, Keola Donaghy, George Winston, Ben Churchill, Calvin Hoe, Steve Grimes, Hella Kihm, Takeo Sakurai.